It may be hard to tell if someone is having a migraine or another kind of a headache. 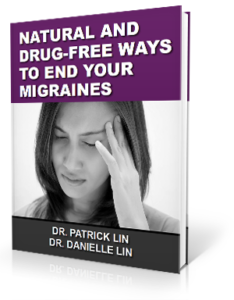 Therefore, we are going to take a look at some of the common symptoms of migraines and where to find a natural, long-lasting solution for migraines and other headache types. Affects one side of the head (sometimes): Migraines often occur with single-sided pain. If one has a feeling of a vice-like grip on both sides of the head, he may have a tension headache. Throbbing or pounding pain: Usually the pain is moderate to severe and can cause one to have to lie down until it passes, interfering with daily routines. While these are all great ideas to have fewer migraines and cope with them when one hits, wouldn’t it be better to find out what is causing them and correct this problem? It has been observed that a misalignment in the bones of the upper neck – the C1 or C2 vertebra – can be the cause of migraines and other types of headaches. If these bones are out of place by just a ¼ of a millimeter, they can stress the brainstem and lead to migraine headaches. Here at Symmetry Health Chiropractic Center, we have been trained to find these tiny misalignments and correct them by using a gentle method. This leads many to see fewer and less intense migraines, while others see them go away completely after only a few visits.